Microsoft's multi-faceted approach to successful Skype for Business Implementation utilizing top Microsoft Skype for Business Partners, like PEI. 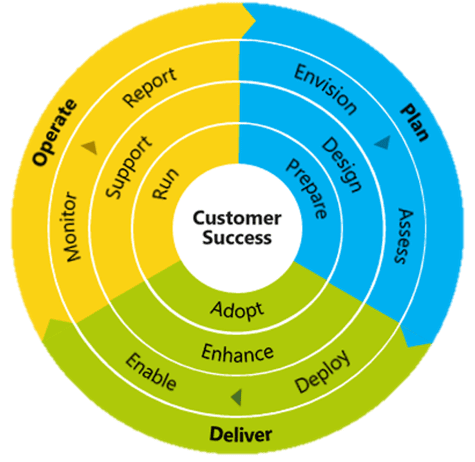 What is Skype Operations Framework (SOF)? Skype Operations Framework (SOF) is Microsoft’s comprehensive guide and toolset for implementing and managing a reliable, cost-effective communications service based on Skype for Business. It covers the entire customer lifecycle, including planning, delivery, adoption, operation, and migration. It is a multi-faceted approach to the successful deployment of and migration to Skype for Business Online, incorporating three key stages that have customer success firmly at the center. Through the SOF program, we bring Skype for Business to small businesses reliably and affordably. First, we will undertake Skype for Business planning and design tasks, define the key use cases and an adoption strategy. Then, we will assess readiness and execute remediation activities and develop goals for the follow-on stages of the engagement. We will effectively implement & deliver Skype for Business Online services based on your business' needs. For maximum ROI, we’ll drive adoption of the service with your user base and layer in new features and capabilities as they are released to deliver rapid success and additional value to your business. During this phase, we will work with you to maintain a high quality and reliable Skype for Business service. We have packages available to provide you with reporting, monitoring, and proactive support services of the environment. Why Choose Skype Operations Framework (SOF)? We understand that that every organization’s Unified Communications journey is unique. However, based on our 28 years of leadership in the technology industry, PEI knows each solution shares the common goal of delivering value by understanding the goals of your organization and mapping its technology to enhance business practices. SOF is designed to remove any doubts from your Skype for Business implementation by combining tried and tested industry tools with PEI’s guidance that’s proven to deliver success. Industry experts from around the world developed SOF with the goal of providing a framework for customer success. As a top Skype for Business Partner, PEI’s expert team of Skype engineers will help guide you through the process and ensure your organization’s smooth transition. Our dynamic approach to supporting your solution sets PEI apart from other Skype for Business partners. We believe Unified Communications services are the most critical IT service, so we take an end-to-end approach to achieve excellence of delivery and support with our Managed Services package. We assess, remediate, monitor, and fix the hardware and software associated with your Skype for Business implementation to deliver high quality communications across your clientele and business. Learn About Managed Services! Contact PEI to Get Started! throughout the United States. With over 28 years of experience, our vast knowledge and senior engineering talent brings enterprise technology solutions to the mid-market and implementing Skype for small businesses at an affordable price. PEI’s proven delivery approach, alongside Microsoft’s Skype Operations Framework, focuses on the core areas crucial to success with Cloud PBX and integrated Audio/Video/Web Conferencing & PSTN Telephony solutions within organizations under 2,000 seats. and Office 365, and is one of the top trusted Skype for Business partners by Microsoft in the Rocky Mountain region. PEI’s services include, but are not limited to, networking, storage/backup, managed services, and carrier services including ExpressRoute. Call (303) 974-6881 to learn more. Whether your organization is interested in only Audio/Video/Web Conferencing, or the added features of PBX capabilities in the Cloud with integrated PSTN Calling, PEI is fully equipped to service all your needs! This package is designed for organizations interested in adding to or replacing their current conferencing solution. 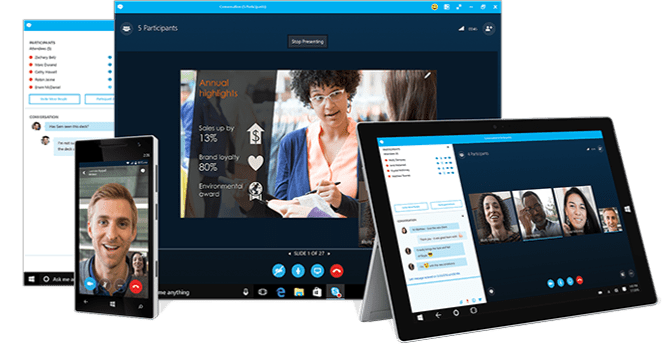 With Skype for Business PSTN conferencing, you can consolidate your Audio, Video, and Web meeting solutions and reduce complexity while enabling employees to attend meetings by phone wherever they are. Those who join via Skype for Business get the added benefits of instant messages, shared desktops, and file sharing. Enjoy convenient dial-in access to Skype Meetings, allowing participants to join your meetings from any telephone. PSTN Conferencing is available as a part of the Office 365 subscription. In PEI’s 3 offerings you can choose from just testing PSTN Conferencing with a Proof-of-Concept, a joint implementation, or a complete, hands-on Skype for Business implementation performed by us. 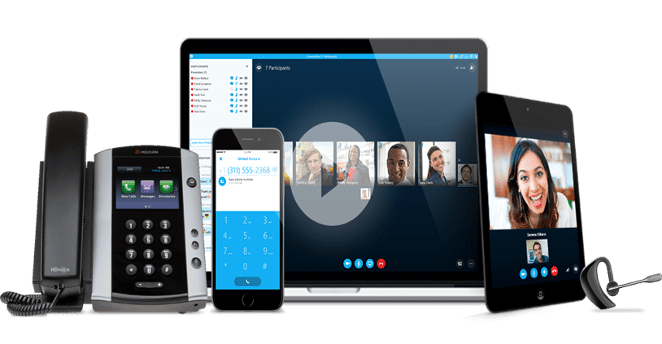 This package caters to organizations interested in replacing their traditional phone system by adding Skype for Business Online’s set of calling features along with the benefits of PSTN Conferencing in one fully integrated solution. Make and receive business calls in the office, at home, or on the road using your phone, PC, or tablet. Also, consolidate your meeting solutions and reduce complexity while enabling employees to attend meetings by phone wherever they are with PSTN conferencing. Skype for Business is an all-in-one solution that organizations love. Cloud PBX with PSTN Conferencing are available as a part of the Office 365 subscription. In PEI’s 3 offerings you can choose from just testing Voice in the Cloud with a Proof-of-Concept, a joint implementation, or a complete, hands-on Skype for Business implementation performed by us. Interested in Learning More About PEI’s Skype for Business Implementation and Skype Operations Framework Packages? Fill out our form for a free consultation! Always extremely responsive and very knowledgeable to work with. They take the time to understand the business need and then provide ideas and potential solutions. PEI knowledge base is amazing. There customer service is second to none. They have all ways gone above and beyond to meet their commitments. For over 25 years of support they've always been there for us! They are great, dependable, knowledgeable, and exploring new technologies to improve and meet our needs. One of the most knowledgeable IT firms we have worked with. On top of their expertise, they are great to work with and we were very confident with every project they've helped us tackle. Are you ready to try PEI?